Compliance is one of the most intimidating parts of international retail. Around the world, retailers are coming under increased regulatory pressure from both governments and consumers. The more regions your business operates in, the more difficult it is to comply with all of the different regulations. That’s especially true if your business involves potentially hazardous products like food, electronics or products intended for children. The exact steps to retail compliance will vary depending on what your organisation sells and where you’re selling it. That said, this checklist provides a generalised set of best practices that can help your retail organisation stay in compliance wherever you do business. The first step to ensuring compliance is to audit your existing procedures. Audits reveal your organisation’s strengths and weaknesses and provide a starting point for improvements. Being audited is rarely if ever, anyone’s idea of a good time. However, periodic compliance audits allow your team to catch small problems before they turn into costly disasters. Meanwhile, make sure your vendors are also auditing their own procedures. At K International, we regularly perform internal audits for our quality control and information security procedures and host external auditors quarterly to maintain our ISO certifications. You should expect nothing less! Does your business store consumer data? Then it’s essential that you keep it secure. Data breaches are all too common, and the consequences include devastating fines and loss of consumer trust. Third-party certifications encourage accountability and improve credibility. They verify that you and your vendors are following best practices and meeting the standards necessary to keep consumers safe. To bring your products to market, you may need to obtain some type of third-party certification, along with documentation in the appropriate languages. Dairy products, for instance, require a health certificate to be sold in the EU. Certifications can also help you avoid compliance-related issues with your vendors. For example, at K International, we believe that security and trust are paramount, especially as we often deal with sensitive or classified information. But we don’t just expect you to trust us – we are certified for information security management standard ISO/IEC 27001, and we hold ISO 9001:2015 accreditation for our quality control standards. A little over six months ago, the EU’s General Data Protection Regulation, affectionately known as the GDPR, went into effect. What does that mean to retailers, especially retailers who export to the EU? Simply put, it means that if you’re collecting and storing consumer data online, whether for an email list or a loyalty program or even just tracking users online, you need consent and you need to be careful with that data. The same goes for any third-party companies you allow to access that data, including your language services provider. Allergen labelling, with different trade regions having different standards for which allergens to include. Language requirements. Consumers have to know what they’re buying. Missing or inaccurate translations will cost you. 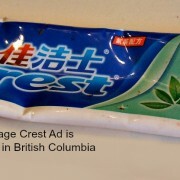 Products with labels that aren’t compliant are likely to get stopped at the border. For perishable products and fast-moving consumer goods, this can be disastrous if not dealt with quickly. The most cost-effective solution for labelling issues is to apply compliant ‘over stickers’ on top of the existing labels. 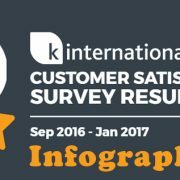 At K International, our team of experienced linguists, project managers, compliance experts and designers is here to help. We can quickly create and deploy compliant over stickers to get your products out of customs and in stores rapidly, reducing the chances of wastage and loss. For more information, see Export Packaging: Does Yours Tick All the Boxes? and What to Do When Your Products Are Stuck at the Border. Need a laugh? Read 10 Food Packs We DIDN’T Translate. The best way to avoid mishaps is to make regulatory compliance a priority at all levels of your organisation. That may mean appointing a dedicated champion or team to manage your compliance program, reporting directly to the highest levels of leadership. Of course, it’s also vital to create a standardised set of processes that reduce the chance of human error causing compliance issues. These will need to be communicated to everyone in the organisation. For multilingual organisations, have them properly translated to make sure everyone understands what they need to do. Periodic compliance reporting is vital, as it allows your organisation to track how well your compliance procedures are working. Without reporting to hold everyone accountable, you won’t know if your processes and procedures are working or not until it’s too late. What should you be tracking? Common compliance KPIs for international retailers might include penalties assessed or liabilities avoided, but use metrics that make sense for your business. A commitment to compliance starts at the upper levels of management, but it can’t end there. All employees must be sufficiently trained to do their jobs in a way that complies with all the relevant laws and recommendations. Without an investment in employee training, even the most bulletproof compliance procedures won’t save you. But what if your organisation has employees in more than one country? Or, what if you have a significant number of employees who don’t speak English (or don’t speak it well)? In that case, it’s your responsibility to provide training in a language and format they can easily access. That means, at a minimum, having it translated by a professional linguist or LSP. The stakes are too high to cut corners with machine translation. As a bonus, if one of your employees does make a mistake that puts you at odds with local or international law, it helps if you can show proof of adequate training. For example, the US Securities Exchange Commission declined to prosecute Ralph Lauren after its Argentinian subsidiary was caught bribing customs officials. It’s virtually impossible for today’s international businesses to do everything in-house. Organisations of all sizes generally find it more cost-effective and efficient to outsource specialised services. However, your organisation is also responsible for choosing compliant vendors. When it comes to consumer safety, security, and compliance, the buck stops with you. How do you know that your vendors are trustworthy? To start, look for a company with a good reputation and years of experience. Relevant third-party certifications (like ISO) demonstrate transparency along with a commitment to quality and to following appropriate policies and procedures. Being trustworthy and transparent is the bare minimum you should expect from the service providers your organisation engages. Ideally, your company and your vendors will work as partners to achieve compliance. 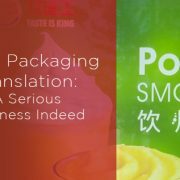 For example, at K International, our experts are always available to help with any language-related compliance issues, from packaging and labelling to customer communications and more. We also offer consulting services to maximise your business’s success. K International has over 30 years of experience working with some of the top retail brands in the UK and the world. We are known for delivering under pressure, meeting tight deadlines without sacrificing quality. Our team includes translators, proofreaders and designers as well as legal experts and compliance experts in a variety of industries. 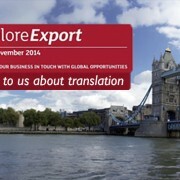 Looking for retail translation case studies? Read how we help Marks and Spencer manage over 360 stores in overseas markets here. 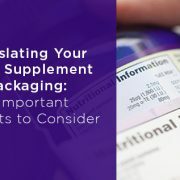 Our retail translators will ensure that your product packaging and accompanying documentation is compliant with all relevant laws, appropriate for the target culture and presents your company and your brand in the best possible light. If you’re looking for a language partner you can count on, we’d love to hear from you. Get a quote on your next project or contact us to talk to one of our retail translation experts today!